America is in the middle of an opioid epidemic because it has become the alternative agent for practitioners and patients suffering from chronic pain. It is a natural way of alleviating pain but not without its side effects. There are already 29 states that have legalized the use of medical marijuana for medical purposes, but this still leaves a lot of unanswered questions. 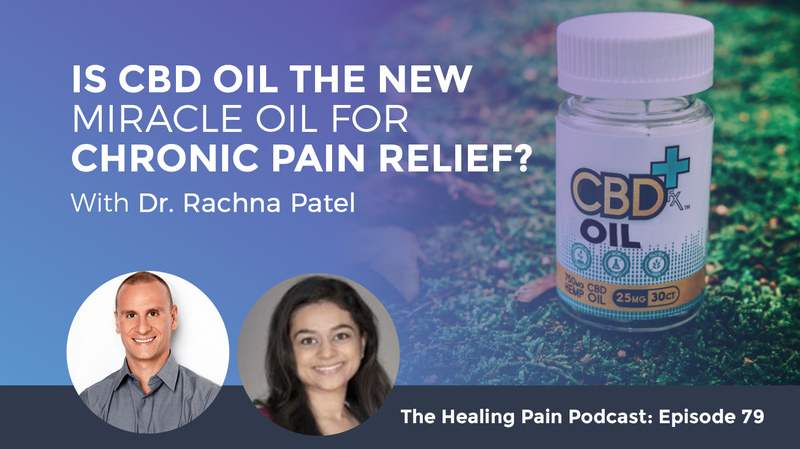 Dr. Rachna Patel has been working with CBD oil and medical marijuana to develop a methodology that allows her to walk a patient through the healing process without overdosing. She explains that CBD oil isn’t a psychoactive substance, so you should not feel high with regulated intake. 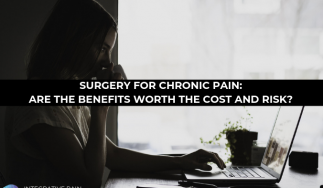 Dr. Patel raises the subject on the pros and cons of using the drugs for medical purposes in relieving chronic pain. This a topic that I receive emails for almost every single day. I receive even more Facebook inbox messages about this topic as well. 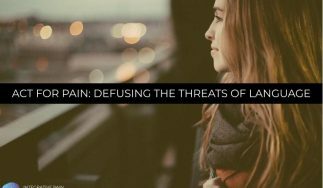 Since our opioid epidemic has taken a hold of the Unites States of America as well as the rest of the world, both practitioners and those who struggle with pain are looking for ways to alleviate and lessen their pain in ways that are natural and in ways that don’t have side effects. We’re going to take a deep dive into what CBD oil is, and what are the advantages and disadvantages of both CBD oil as well as medical marijuana. I have an expert on the podcast I’m going to be interviewing who will provide some great information that you can arm yourself with, and hopefully information that will inform you in making your choice on CBD oil or medical marijuana. Some of the questions I get asked constantly are is CBD oil legal in the state I live in? How much do I need for pain relief or for anxiety reduction? What’s the difference between CBD oil and medical marijuana? In some states, medical marijuana is legal, and in other states, it’s not. The same holds true to some extent for CBD oil as well. There are always things the dangers or side effects of CBD oil. What you’re going to see over the next couple of years and maybe the next decade is the science and the research behind CBD oil will continue to build. With that, there will be trust in both the public and as well as practitioners in using CBD oil for things like chronic pain, sleep, anxiety, even things such as energy and fatigue. All those types of symptoms have a similar biochemical pathway in the body. To help you with this, I have created a handy cheat sheet for you called the Frequently Asked Questions About CBD Oil. To receive that, you can go to www.DrJoeTatta.com/74Download. On your smartphone, you can text the word ‘74Download’ to the number 44222 to pick up my Frequently Asked Questions About CBD Oil which will help guide you to the podcasts. You’ll have it as a reference to use when you’re looking at CBD oil products or medical marijuana. Dr. Patel, thanks for joining me. I know this is a topic that so many people are interested in, and they want to get a grasp of the information around this important topic. I know you work both with medical marijuana and CBD oil. I want to talk about both so we can deliver people some good solid information on the pros and cons of both. I want to start first with medical marijuana. I know that’s where you spend a lot of your clinical time. Let’s start talking about specifically about medical marijuana and what types of conditions you prescribe it for with your patients. The most common conditions that I’m treating are chronic pain, anxiety, and insomnia. Within the realm of chronic pain, I treat a lot of back pain due to sciatica, back pain due to degenerating discs and herniated discs. I treat a lot of arthritic pain. I treat fibromyalgia, migraines, a wide variety of chronic pain that oftentimes tends to be resistant to conventional pain medications. The state which you live in, which is California, medical marijuana is legal. On January 1st, it became legal for recreational use. You have medical users still and you have recreational users. It’s not like the medical users are overnight just going to turn into recreational users. The people that were using recreationally will continue to use recreationally. Give us a quick overview of what’s happening as far as the medical marijuana status in the different states. What are we seeing? Medical marijuana has been legalized in 29 states. These are all states that have said somewhere in their books that it’s legal to use marijuana for medical purposes. The states that have legalized recreational use have at some point have already legalized for medical use, and that usually continues to stay status quo. For recreational use, we have seven states and the District of Columbia that have legalized recreational use. What does that mean? It’s like walking into a liquor store. Anybody over the age of 21 can walk in and purchase what you like. There are certain distinctions between medical products and recreational products. The main distinction has to do with the potency of the product. For certain products, you do need what’s called a medical marijuana card to access those products, but there’s a wide variety of products available over-the-counter. In the states where it is legal, are there any restrictions imposed on the practitioner as far as prescribing and as far as the potency and the length of prescription that you’re allowed to write for patients? It’s going to depend from state to state. New York state does require that physicians take an educational program that the state has created in order to get certified to issue medical marijuana certifications. In the state of California, it’s more liberal when it comes to medical marijuana. The medical board has indicated that a patient has to be evaluated at least once every year, which a physician would do otherwise anyway. In Florida, I believe physicians have to take a program through the state in order to see patients and evaluate them for medical marijuana cards. Marijuana is a much safer alternative to what’s available in conventional medicine, especially when it comes to pain. There are other restrictions in states that have legalized for medical use. You have to have a certain condition to qualify for medical marijuana. It’s not the case in California, because some person decided to use the phrase “Under the list of conditions and any other illness” when they pass the laws back in 1996, so we’ve got a lot of freedom here. The vast majority of states that have legalized for medical use, they have set a defined list of conditions that qualify for the use of medical marijuana. 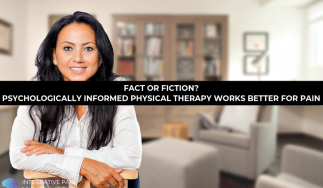 These include conditions such as patients who are terminal, patients who have conditions that are irreversible such as multiple sclerosis for instance, so it’s going to depend from state to state. Every state is constantly updating that list, so it’s important to check your state’s website. They usually have a specific website dedicated to their medical marijuana program, and it’s always being updated with newer sets of conditions. This is growing state by state moment by moment. You mentioned practitioners have to take a class which is usually like a CEU or CME type class. We’re seeing that with the opioid crisis as well. In states, practitioners that have the ability to subscribe are going to have to start taking classes around how to prescribe opioids responsibly and effectively. Do you see parallels with the two drugs? Parallels in the sense of every drug has the ability to help people and has the ability to cause harm as well. That’s the case with medical marijuana as well. There are certain advantages over other medications such as opioids. One, it’s not lethal. You can take a whole bunch and it’s going to make you feel horrible, but it won’t kill you. There’s been no known case of a fatality due to marijuana overdose. The other thing is that the side effect profile is much more manageable than a lot of other medications, especially for long term use. The other thing is that there’s certainly a potential for addiction just like any other medication. It’s a lot less than opioids and even substances such as tobacco and alcohol, but the potential is still there. Here’s the interesting thing about marijuana. It’s a fat soluble substance. Once patients start taking it, it’s not like you have to continue to take it. You can start and stop on an as-needed basis. That’s been very advantageous for my patients. Let’s say they have bouts of insomnia. It’s not always, just when they have a lot of stress in their life, they tend to have insomnia. They’ll use it for those periods of time, but then once they get into a normal sleep cycle, they won’t use it for months at a time. Whereas with a lot of antidepressants and anxiety medications, once you get on them, you can’t stop cold turkey. It can cause severe withdrawal symptoms. My background is in emergency medicine. A lot of what I saw with opioids were patients coming up with side effects and patients coming in addicted to these medications. I was in the unfortunate position of having to resuscitate patients that had overdosed on specifically opioids, but even other medications. Here’s how I see marijuana and how it fits in. It’s a much safer alternative to what’s available in conventional medicine, especially when it comes to pain. We talk about the opioid crisis, we talk about the problem, but we’re not talking about a solution. To me, what’s an obvious solution is medical marijuana. I’d like to move to CBD oil. When we start talking about medical marijuana and CBD oil, there’s a lot of confusion around what they are and what makes them distinct and different. Can you tell us what the difference between medical marijuana and CBD oil is so that people can understand it? There’s an important piece of information to know here, and that is the difference between marijuana and hemp. Essentially the distinction between the two is a legal one. Hemp, by law, has less than 0.3%THC, and marijuana or cannabis has more than 0.3% THC. That is the fundamental difference between the two. CBD is one of the chemicals that’s made by the plant hemp and marijuana. The molecular structure is the same, and CBD can be derived from hemp or it can be derived from marijuana. When it’s derived from marijuana, it’s going to have greater than 0.3% THC. When it’s derived from hemp, it’s going to have less 0.3% THC. With hemp-derived CBD oil, you’re avoiding the side effects of THC. It’s also possible to avoid the side effects of THC with marijuana-derived CBD oil. What it boils down to is the amount of the THC. Illegally, a lot of hemp-derived CBD oils are sold on websites and sold on Amazon, whereas marijuana-derived CBD oil can only be sold at a licensed medical marijuana dispensary. In terms of effect, depending on the ratios of CBD to THC, it’s possible that the effects of THC can be completely negligible even though there is some amount of THC in there. It always depends on how much CBD is in there as well as. It’s a grey area. I have visited and revisited the DEA’s website over and over again, and they’re not very clear. Granted I’m not a lawyer, so it’s more difficult for me to understand the legal terminology, but they’re not very clear. It seems like they’re saying that if the CBD is derived from certain parts of the plant then it’s okay, but then there’s other regulations that say it can only be derived from hemp. It’s a big grey area, and that’s why you find CBD products being sold on websites without much consequence as of yet. For the most part, we haven’t seen a state say that selling CBD oil is illegal, because for the most part they have classified it as a nutritional supplement. That’s how it’s being sold. The FDA recently ran some random testing on a lot of these products, and the results were very interesting. The amounts stated on the label for the amount of CBD did not always match what was actually in the product. Sometimes it was a whole lot less. The other thing that the FDA found was that some of these products had higher than 0.3% THC in them. CBD is not a psychoactive substance. The chemical that actually have this psychoactive property is actually the THC. The important thing to note is only if you take it in excess amounts, up to a certain amount, you will not have any psychoactive effects on the THC. What I found clinically is that certain combinations of CBD and THC work better for certain conditions. There’s this belief that CBD will relieve all types of pain. It’s not the case. Patients who have fibromyalgia don’t benefit from high amounts of CBD. They actually need some THC in there as well. Why would that be the case? Both CBD and THC have anti-inflammatory properties. When used together, there’s a synergistic effect. There’s an even greater anti-inflammatory effect. This is what’s benefiting these patients. That’s important to take into account as well. Certain combinations of CBD and THC work better for certain conditions. When you buy any nutritional supplement, no matter what it is, you have to make sure that you’re buying it from a source that’s reputable and what it says on the bottle is in the product you’re taking. With CBD oils, there are some good reputable companies that what’s on the label is what’s in the ingredients. I took one a couple months ago and there’s definitely a high concentration of THC. It’s definitely not the result that I’m looking for when I give this to patients. Can you talk to us about the milligrams of dose required to treat when using CBD? I’m sure this varies with conditions, but give people an idea of how you take your prescription pad and how you write down how much CBD oil someone needs to treat certain conditions. What would your prescription be? There is no exact dose. CBD and THC, the way they get processed, a lot of it depends on your individual machinery that you have in place. It depends on what machinery that have to break down these chemicals in your liver. It depends on how much of it you are storing in the fat cells in your body. I walk a patient through a methodology to figure out their dose, and then eventually we do some math to figure out the exact milligram that they need. There’s a high range that I found. I have patients that have benefited from 0.25 milligrams of CBD, and then I’ve had patients that have needed 50 to 100 milligrams of CBD. The patient who can make do with 0.25 milligrams, they’re going to get side effects from high amounts, so it’s going to vary. I walk them through a methodology. You have edibles where the exact milligrams are fairly easy to figure out. Then you have sublinguals. These are drops or sprays that you put under the tongue. The liquid portion of it makes the mouth harder, but there is a formula that I walk my patients through so that they can get it down to exact milligrams. Inhalations, there’s actually flowers that are high in CBD, rare to come by, called baked pens. They have concentrates in there that are high in CBD. That’s an inexact medication to take right. You’ll never be able to get it down to the exact milligram because you can’t measure what you’re inhaling and exhaling. We don’t have yet meter dose inhalers for marijuana. If we did, then we can get it down to exact dose, but in this particular case we can’t. Then there are topicals. You can measure exact milligrams with that, but typically you don’t need to. You can be more lax when it comes to topicals. Basically it starts slow and low and titrate up as you start to notice an effect. You don’t want to overdo it because you can develop a tolerance to it. Tolerance is where basically you need one more to get the same effect. You don’t want to get to that point because that effect will plateau at some point. What are the side effects that someone might experience from too much? What are some of the side effects that people may experience from taking CBD oil too much or too rapidly? Feeling groggy, feeling tired, and feeling dizzy. If it happens to have too much THC in it, that’s when you can start to feel anxious or paranoid. It can also increase your heart rate if you take too much as well. If you take way too much, it will make you nauseous. It can cause vomiting. THC in excess amounts, that’s when it starts to cause visual and auditory hallucinations. It can also cause numbness and tingling. Those are the more common side effects that you can experience. To clarify, a patient should not experience hallucinations, visual and auditory, from CBD. If you’re getting that, there’s too much THC in the CBD oil. Are there any strict concrete indications that you run your practice by when looking at marijuana and/or CBD oil for patients? Anybody with any lung conditions shouldn’t be inhaling marijuana because it can exacerbate those underlying lung conditions. Anybody with a heart condition, marijuana in excess amounts can increase your heart rate, so if you have any underlying dysrhythmia where your heart beats abnormally, it can stimulate the heart to the point where it starts to put you into that dysrhythmia. Then you have patients that have had a history of psychotic episodes. Too much marijuana can cause visual and auditory hallucinations, so it can make the patient more prone to being thrown into a psychotic episode. Women that are planning on becoming pregnant, that are pregnant, or that are breast feeding, this patient population specifically, because the jury’s out in terms of the effect that marijuana has on a growing fetus and a growing child. Some research has shown that it can cause low birth weight and preterm labor and delivery, but then there’s other research that has shown otherwise that it has no effect. I err on the side of caution, just because I don’t know, and so I don’t recommend it to this population. Then there’s children. In children, you want to be careful when it comes to dosing, because there have been cases in Colorado whether it’s intentional or accidental. Intentional where the child may have epilepsy and the parents gave too high a dose. Accidental in that a lot of these products look like candy. The child may have consumed it, and they end up in a comatose state in the emergency room. These are specific populations where I’m very cautious in recommending. As far as the elderly goes, because there are some definitely valid data around long term smoking marijuana use and frontal lobe atrophy and dysfunction. Is that something you take into consideration? Is that a bigger factor in those who are elderly because the chances of having some cognitive decline is higher? The research that’s out there is done in heavy users. Heavy users are people who are using multiple times a day, almost every day of the week. Are you talking about someone who’s smoking an entire joint, or just taking one or two hits? Whenever they do the research, they define one joint as having 0.9 grams of marijuana in it. That’s what they define as a joint. When they say heavy use, there’s no defined criteria, but in the studies that I read, it’s about one gram in a day, which is a tremendous amount. These are people that are using quite a bit and are using it on an everyday basis. Their biochemistry is much different than the patient that walks into my office. They’re using maybe once a day, at most three or four days a week, so there is a difference. When it comes to cognitive function, much of which happens in the frontal lobe, there was a study done recently at Harvard. It’s a small sample size. We’re talking about eleven participants at this point, but interestingly enough they have them go through a battery of different tests that got harder and harder to do as you go along. One of the tests is called the Stroop color test. In this test, there’s three rounds. In the first part is there you’re given a row of X’s, and they’re printed out in different colors. You have to read the color that the X’s are printed in. The second round, they give you a sheet of paper and they print out a bunch of different words on the paper. The words are names of different colors. You just read down the rows. The third part is where it gets tricky. There’s a sheet of paper with words printed out, they are the names of colors, but now they’re not printed out in black and white, they’re printed out in different colors. The word red will not be printed in red, it’ll be printed in green, it will be printed in yellow, and so it messes with your head. They tested patients who had not used any marijuana and patients who had used marijuana for a period of at least three months, and they were using it for five to seven days during this three-month period. They found that the marijuana users actually performed better than the non-marijuana users, both in terms of accuracy and also the speed. Even if they performed quicker, they did not sacrifice accuracy for speed. These were patients that were not heavy users. They specifically focused on mild to moderate users of marijuana. In the Stroop color test , they found that the marijuana users performed better than the non-marijuana users, both in terms of accuracy and speed. Clinically what I have seen patients across the board of all ages, I have treated adolescents for ADD and ADHD. They come back to me a year later or two years later. Has it affected their academic performance? No. It actually helped because the marijuana helps them to focus better. They’re not having side effects like they would with medications like Concerta, Vyvanse, etc. I’ve also had patients, being in the Bay Area, who use a lot of marijuana back in the ‘60s and have continued to use it on an almost regular basis. Now they’re in their 60s. Have I seen any medical trends in patients that have used for over a span of 40 years on a regular basis? No, I haven’t. Typically, you would see these trends with medications, the long-term side effects. You start to see them after a while, and it will be the same patient after patient. I haven’t noticed any commonality like that. This is why I say it’s a safer alternative to a lot of prescription medications that are used for pain. When we talk about prescription medications, one of the things that consumers are being turned on to and more and more is, “Will I need this drug forever? Is there a place in my life for this drug forever?” How do you approach that conversation with your patients who are coming in whether they’re asking about marijuana or CBD oil? Are you prescribing for let’s say an eight or twelve-week trial, as well as encouraging them to take on other lifestyle changes that will help them? It’s going to depend on the medical condition. Let’s say someone comes in. They don’t have generalized anxiety, it just happens every once in a while, but they still have anxiety. In certain periods of time, it can be paralyzing almost. In that case, I’d say use it as needed. If you don’t need it, stop taking it. It’s the same with insomnia. Some people don’t have chronic insomnia. They have bouts of insomnia. When it comes to chronic pain, say you have ongoing degenerative disease, the marijuana doesn’t get to the root of the problem. It’s more for symptom management. In that case, it’s indefinite use. These patients also go through periods of clear ups, where sometimes there are periods when the pain is worse and then there are periods of time where they’re okay. I indicate to them to use it as needed. These patients are aware that they may need to use marijuana indefinitely, but what they were happy about is that they’re not going to experience the side effects that they experience from the prescription medications. A lot of them are concerned about potential for addiction with prescription medications as well. The worst case scenario is taking too much of it and overdosing on it. Patients come to me as a last resort. Take insomnia. They’ve gone through the lifestyle changes, then they’ve gone to their primary care doctor. Even before lifestyle changes, they’ve tried over-the-counter medications, then they go to their primary care doctor who may prescribe prescription sleeping aids. Finally, when they’re at their wit’s end and nothing’s cutting it for them, that’s when they come to me. They’ve already tried quite a bit before they come to me in search of a solution to their problem. What do you see the future and medical marijuana CBD all being in the United States? I know it’s a very different state by state, but just an overall? Right now there seems to be a lot of people saying we just need more research. If you ask anyone in any medical profession the answer is always, yes we need more research, but do we have enough research to start making good clinical decisions for patients and helping them? Here’s how it’s working right now. We’re using clinical outcomes to drive research, as opposed to the other way around, and that may be a good thing. A lot of it depends on the administration, at the federal level that’s in power, who are your officials at the state level and even at the local level. Even in California, it is legalized for recreational use, but dispensaries are banned in 70% of cities in California. You have a small number of cities serving the population as a whole in California. As a physician, where do I see marijuana? It has the potential to change the face of medicine if we allow it to do so from a legal standpoint. We don’t have a good option when it comes to treating chronic pain, chronic insomnia, and chronic anxiety. This serves as a very valuable medication that patients can take. Big pharma have been getting their hands into it, so that can change things definitely because there’s that’s a big influence when it comes to lobbying. It could be that they reschedule it, but then they say we’re only going to make it available by prescription. There’s a lot of different directions that it can go in. There’s a lot of uncertainty that goes with it, so I’m not sure. These are interesting times, and a lot of it has to do with how marijuana has been scheduled, because it’s not schedule yet where the pharmaceutical companies can get their hands on it and put it in a pill that would only be available for prescription. I hope that doesn’t happen, although I do see a place where it may make it easier for physicians like yourself to prescribe medical marijuana. It’s definitely an interesting topic. I want to thank you for being here to discuss it. We presented a good how-to guide for people with chronic pain. I also get other people that have anxiety and depression, and all of this is useful information. I want to thank Dr. Patel for being here. You can find out all information about her at DrRachnaPatel.com. Thank you for having me on the show. I appreciate it. Dr. Rachna Patel has been practicing in the area of Medical Marijuana for half-a-decade now – since 2012. She step-by-step walks patients through how to use medical marijuana for their specific medical condition. And it’s all without getting high off of it, without getting addicted to it, and without smoking it.